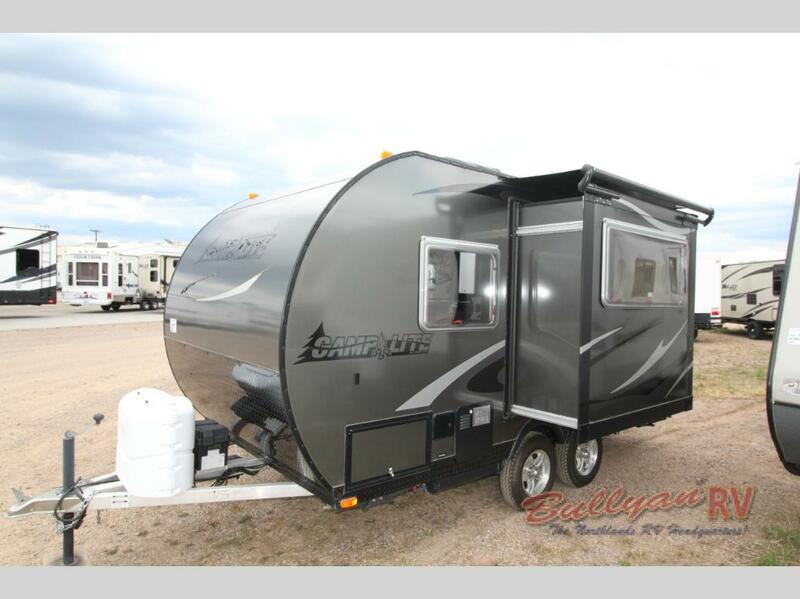 The Livin-Lite Quicksilver CampLite Travel Trailer Is unique in many ways. Constructed without using wood, the Camplite’s all aluminum build eliminates the potential destruction of rot or rust. By using a thicker gauge of aluminum tubing, Livin-Lite provides superior strength and longevity while maintaining a light weight for easy towing. 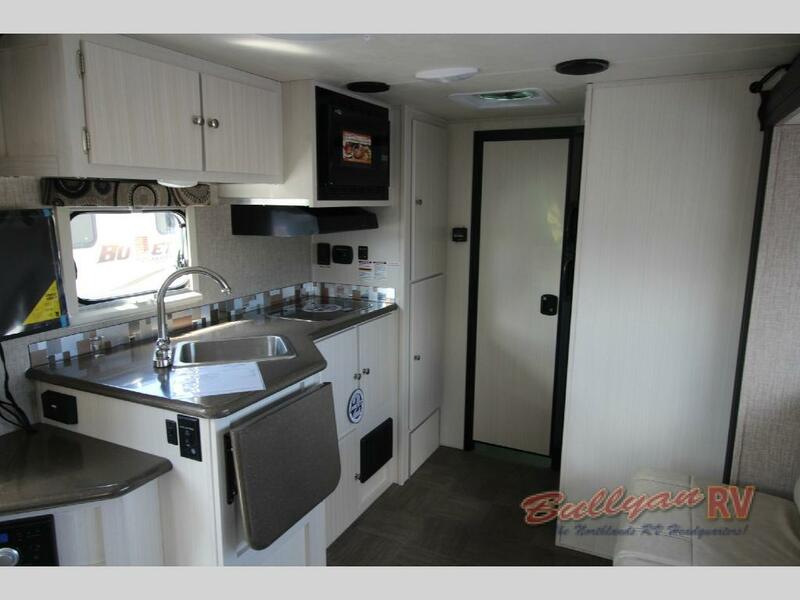 Inside the Camplite, you will find ultra durable aluminum cabinets, solid surface counter tops, Trek residential crackproof and freezeproof linoleum in addition to many other quality components. The kitchen is well equipped with a convection microwave, refrigerator, 2 burner cook top and stainless steel sink with high rise faucet. The unique dual-paned double acrylic tinted Euro windows open to 90 degrees and have built in day/night shades and screens for climate control and privacy. Choose from 3 interior color choices to fit your decor and personality. On the outside, the Camplite has a number of notable upgrades that will make your camping trip super easy. Setting up and breaking down camp is a breeze thanks to the power tongue jack, radius baggage doors with slam latch, and LED power awning. 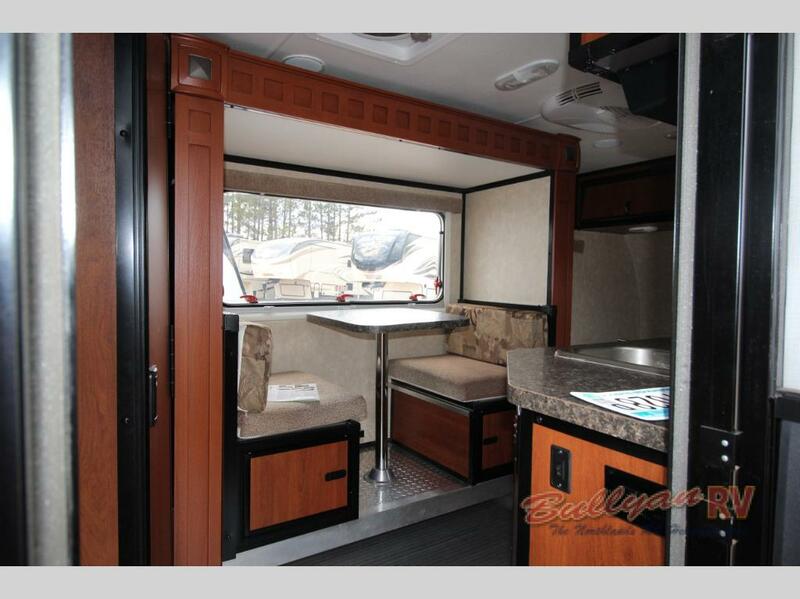 The Livin-Lite Camplite is constructed with longevity in mind. The standard slideout topper awning, laminated floor with 1 7/8″ thick with fiberglass, block foam and Azdel and Alpha Superflex® Roof w/12-Year Warranty are examples of this. You will be enjoying many happy camping memories for years to come in the rot-proof Camplite. 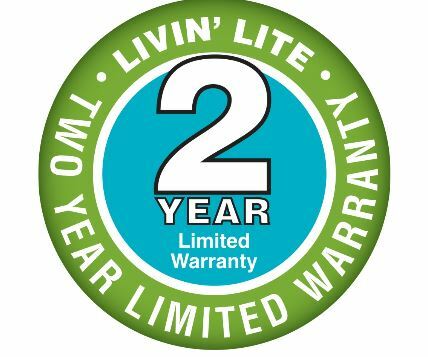 Livin-Lite includes a 2 year limited warranty for your peace of mind on all it’s products including the Camplite. 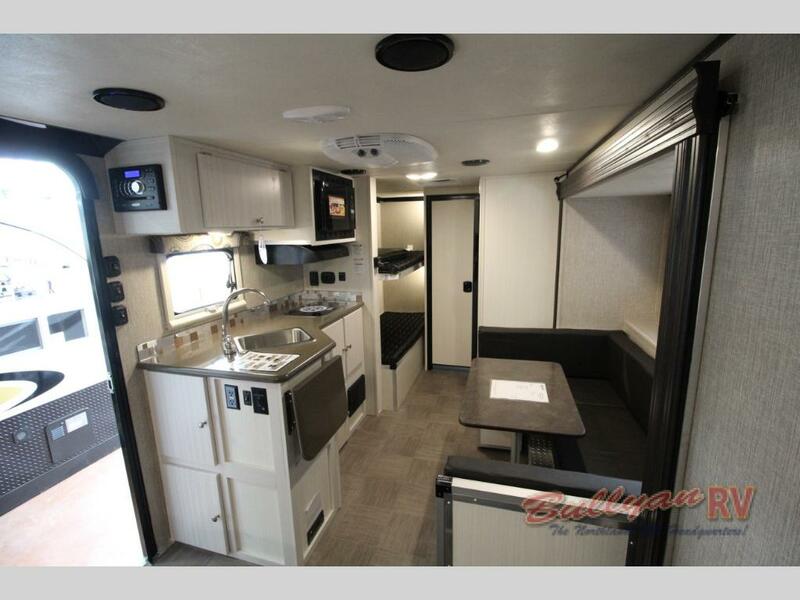 The Camplite is available in many different floorplans to choose from depending on your sleeping, length, weight and seating space requirements. 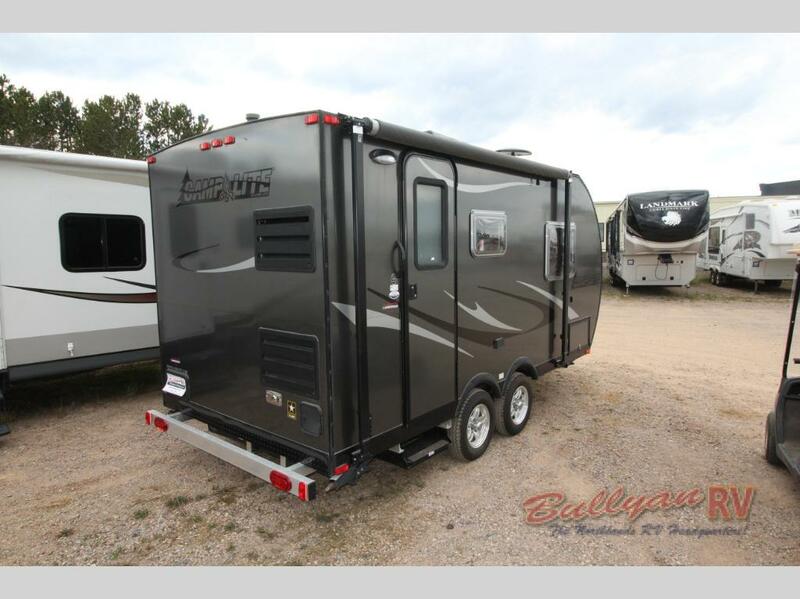 To see which Livin-Lite Camplite Travel Trailer model is right for you, Contact Us at Bullyan RV or visit us at Our Location. You can also check out this walk through video of our Camplite 21BHS Bunkhouse for more information on this unique brand!